Every woman’s body is unique and each of her pregnancies also differs. At Eastside Acupuncture & Integrative Medicine (EAIM), mothers-to-be receive individualized care to help them make the most of their pregnancy, labor, delivery and postpartum experiences. Entirely drug free by nature, acupuncture can safely and effectively treat and cure a variety of conditions and promote an ideal labor. Many women rely on acupuncture for relief of pains and discomfort, treatment of pregnancy conditions and to ensure the best health for their baby. Contact Eastside Acupuncture & Integrative Medicine to learn how you can enjoy the best possible pregnancy experience. 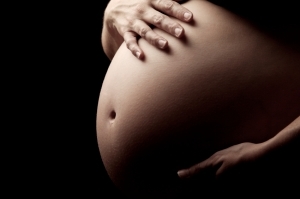 How is Acupuncture Involved in a Safe and Healthy Pregnancy? Acupuncture can be used during pregnancy to rid these maternal toxins, as well as nourish and improve fetal development. Eastside Acupuncture & Integrative Medicine can help you retain your vitality so you experience a smoother pregnancy. The most rapid development of the fetus occurs in the first trimester. Acupuncture benefits both the mother and the baby during this time in many ways. Treatments increase blood flow to the uterus, which allows the uterine lining to grow strong enough to support implantation by the embryo. Much of the neural tube development occurs within the first few weeks after contraception. The mother’s health and the womb’s environment is especially important to the baby’s development during this time period, as the neural tube will later develop into the brain and spinal cord. Weekly acupuncture treatments help ensure healthy embryo growth, as well as alleviate the mother’s symptoms such as morning sickness, headaches and fatigue. Research has shown that a mother’s stress may affect her unborn baby as early as week 17 of pregnancy. Acupuncture is a highly effective stress management treatment, helping mothers-to-be calm their minds and emotions. Other common second trimester symptoms relieved by acupuncture include constipation, edema, heartburn, hemorrhoids and stress. During the final trimester, mothers may seek relief through acupuncture for backaches, carpal tunnel syndrome, gestational diabetes, preeclampsia, pubic and joint pain, and sciatica. Around 34 to 36 weeks, the staff at EAIM will begin a pre-birth acupuncture treatment plan to prepare your body for an optimal labor and delivery. Each mother’s pre-birth acupuncture will be designed for her specific condition and pregnancy history. This treatment usually assists in the birth process by preparing the cervix, stimulating the baby’s head down position for labor, and promoting energy and stamina for the mother.Regular acupuncture treatments can reduce the possibility of medical intervention during the labor process, including turning a breech baby and medically inducing labor. If you or someone you know is pregnant or is planning to become pregnant, make an appointment to see how the knowledgeable staff of Eastside Acupuncture & Integrative Medicine can care for you. Especially during this wondrous time, you deserve health and happiness, and we can help you achieve it in abundance. About Eastside Acupuncture & Integrative Medicine Eastside Acupuncture & Integrative Medicine practitioner Minerva Henson assists her patients with the body’s natural ability to heal itself. As an East Asian Medicine Practitioner, her role is to restore the body’s natural harmony, as well as educate and encourage patients. If conventional methods have failed to deliver the well being you deserve, acupuncture may be the best course for you. Come try it under the care of Minerva in the safe setting of Eastside Acupuncture and Integrative Medicine. EAIM is located in Kirkland, Washington.